Our products and services are utilised by organisations such as Air Chefs, Unisa, Transnet, and many others to higher levels of performance. They are also supported by a series of assessments, and methodologies that are unique to Lobsy Projects (Pty) Ltd. Our professional consultants are excellent communicators with years of experience and come from many industries with backgrounds in finance, marketing, sales, operations, IT, manufacturing, distribution and engineering. Because of this experience, Lobsy Projects (Pty) Ltd brings unique leadership skills, insights and best practices to our client projects. We have successfully worked on countless large and small projects for many organisations over the year. Our mission is to help our clients make distinctive and lasting improvements in their business performance and to build a company of exceptional people that deliver exceptional business results for the benefit of our customers. 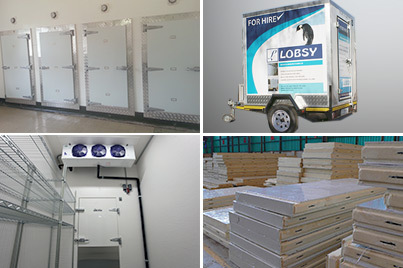 Lobsy Projects (Pty) Ltd, is a 100% black owned company and sub division of Lobsy Holdings (Pty) Ltd. We bring a history of innovation and thoughtful expertise to every client project that we undertake in order to create optimal solutions for the benefit of our clients. Our large team of engineers and professionals, are able to offer clients solutions that are both durable and cost effective. MOBILE COLD AND FREEZER TRAILERS We design and manufacture professional and durable mobile cold and freezer trailers based on customer’s specifications. We also have a range of cold and freezer trailers that we hire out to customers. We function as a resourceful managing agent for total program or project management for our client projects. We approach every project management project with a clearly defined scope and expectations of the client. With a clear understanding of the customer’s objectives in mind, our project management team manages all the details of your project from pre planning to the final implementation and integration management. Our experience has taught us to manage diverse workforces and scenarios with the greatest of efficiency. We manage every aspect of the client’s project. Our project management services make it possible for the client to have one point of contact in an often complex management system. We take the reins of an extensive, diverse team or program and guide it successfully toward meeting our customer’s objectives. With a focus on energy, water, transportation, and structural engineering, we bring a vast knowledge of experience, and multi-disciplinary capabilities to serve both the private and public sector clientele. At Lobsy Projects, we offer customers a wide range of consulting services. Our company is a collaborative partner with developers, program managers, architects, construction managers, and contractors in providing smart consulting solutions. We offer market focused consultants who understand the unique demands and industry trends of their market specialties. Our focus goes beyond simply winning a contract. We excel the most when crafting solutions that achieve maximum performance with minimum risk for our clients. We look at projects through our client’s perspective and devise project delivery methods that best achieve their expected outcome. We embrace our client’s initiatives as our own and respond with creativity that is inspired, strategic and cost-effective. Our client focused approach and attention to detail, has earned us the respect of leading organisations and corporates.